You may be visiting this website for various reasons, in most cases it will be because you have experienced bereavement or a family passing is imminent and are seeking to choose a funeral director and find out options available to you. Also it may be that you or a loved one simply need advice in relation to preplanning or taking out a pre–paid funeral plan. Whatever the case we are here to help you and are only a telephone call away. Rob, Dave, Russell and Richard each look after funeral arrangements and have many years’ experience. You will be assured of the same person looking after you from the start of the process, through to the day of the funeral. 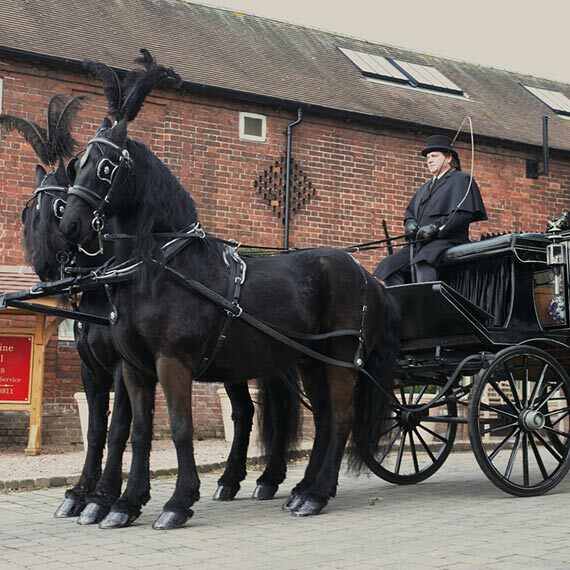 Formed in 1991, based on the west side of Worcester and serving you from our beautifully converted 17th century Coach House with ample parking and full disabled facilities, we cover funerals throughout the whole of the city and its surrounding villages and towns, including Martley, Holt, Ombersley, Droitwich, Pershore, Upton upon Severn, Malvern and Kempsey. Bedwardine Funeral Services were well respected by the late Rupert and Freda Patrick (RD Patrick Funeral Directors Kempsey) whose family had traded as funeral directors in the village since the Eighteen Hundreds. Rupert drew on our support in his last twenty five years of trading and we continue to provide the village with the total commitment that Rupert and Freda provided. 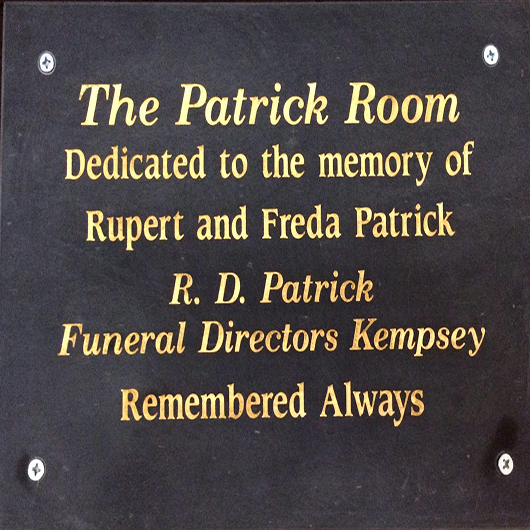 In memory of all their help and friendship over many years we have named an arrangement room The Patrick Room. Following a death What do I have to do next? A bereavement is a traumatic time for those responsible for making funeral arrangements, so we have provided a short guide to the procedure following a death. The doctor of the deceased should normally be contacted, but out of office hours the call may be redirected to an on call doctor. The doctor will advise if the deceased can be removed to the funeral directors premises. An Expected Death In A Nursing Home. The nursing staff would usually make arrangements for the removal of the deceased to the funeral directors Chapel of Rest and obtain the necessary permission from the deceased’s doctor (primary care if out of hours) plus next of kin or executor. When a death occurs in hospital the staff arrange transfer of the deceased to the hospital mortuary .The hospital arrange completion of the doctors paperwork or refer to the coroner as necessary. The bereavement office at the hospital is usually the point of contact for family members(open in office hours). 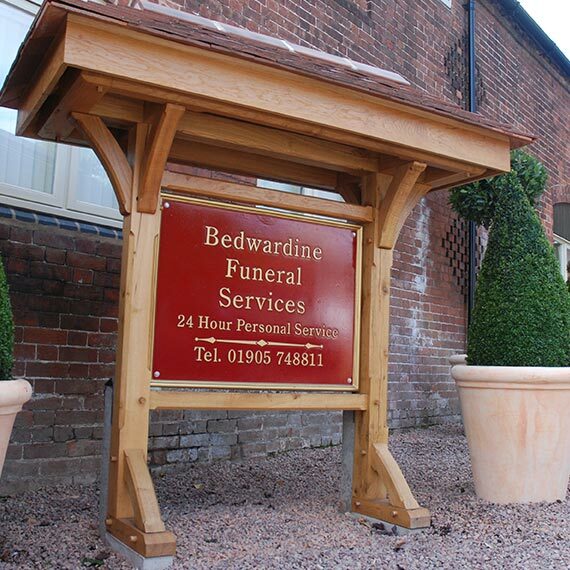 Bedwardine may be contacted if the family wish to use our services or the bereavement office should be notified of a preferred funeral director. A Sudden Or Unexpected Death At Home/Nursing Home or Hospital. The doctor of the deceased or Police may be contacted depending on the circumstances. The doctor will involve the police and coroner and the deceased will be removed into the Coroners care at the hospital by the coroners contracted funeral director. The coroners office will keep the family informed of certification and procedures. Every Funeral we provide a service for, is different and personal to each individual family whether it be a simple cremation or a grand burial. To this end we provide an individually tailored service to the family needs to include everything from newspaper announcements to floral tributes. We would like to think that at a very distressing time we can take the burden of organising a funeral from the family and provide a professional, courteous and respectful service to take the worry off your shoulders. We will spend time discussing and arranging with you your requirements, organising crematoriums or churches, and generally making sure your loved one’s wishes are respected and adhered to at all times. 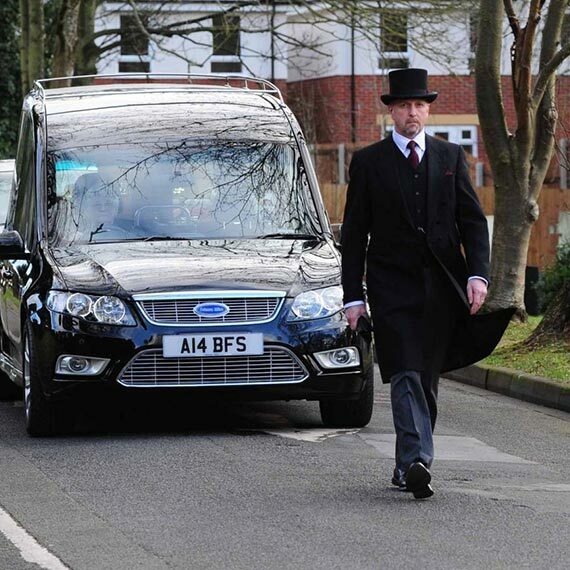 We have a disabled-friendly viewing chapel at our premises as well as a modern and traditional Hearse and Limousine fleet so everything is presented beautifully and professionally to ensure your peace of mind always. If you would like any further information you can contact us by completing the form below and we will get back to you as soon as possible. Alternatively if your enquiry is urgent please call us on 01905 748811. We are available 24 hours a day, 7 days a week.